It's been a pretty eventful year, so it shouldn't surprise you that it has inspired no shortage of jokes. Those have included Christmas cracker jokes - which, though not exactly renowned for getting people tittering, have been the subject of a competition held by UKTV's Gold channel. Why can't Mary Berry eat turkey sandwiches? Paul Hollywood took all the bread. This is presumably referring to the vilification that Hollywood received when, after Channel 4 outbid the BBC for future series of the Great British Bake Off, he decided to stay with the show - unlike the rest of his presenting team. Former Bake Off contestant Ruby Tandoh might like this joke; she branded Hollywood a "peacocking manchild lingering wherever the money is". This is an apt jibe, given recent news that May was not able to join other European Union leaders at an end-of-year dinner in Brussels scheduled for earlier this month; she didn't even receive an invite because Britain is, of course, preparing for its exit from the EU. Why is everyone filing for divorce and custody of the kids this Christmas? It's hard to miss the reference here. In September, after 12 years with Brad Pitt, Angelina Jolie filed for divorce, citing irreconcilable differences. The two then fought a bitter custody battle over their children. Why is Bob Dylan's sleigh so quiet? The hugely influential singer-songwriter Bob Dylan won this year's Nobel Prize in Literature to much controversy, largely because a number of critics argued that his lyrics should not be considered literature. Even Dylan admitted to his surprise upon learning that the prize was his. I can't get to the chocolates in my advent calendar. Why can't the England football team play Yahtzee this Christmas? 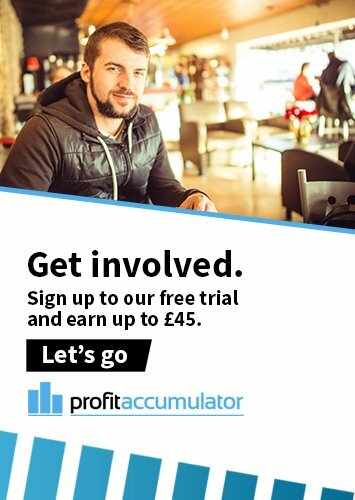 Because they got rid of Allardyce. Well, we've got to credit this one with being genuinely well thought-through. As far as we know, Sam Allardyce isn't an avid Yahtzee player - but his surname can sound like "all the dice", and dice is very much what you need to play a game of Yahtzee. Which parent is likely to do the Christmas shop at Tesco this year? Tesco and Marmite brand owner Unilever were caught in a spat earlier this year, when the latter attempted to increase its price for the love-it-or-hate-it yeast-based spread, citing rising input expenses resulting from Brexit. Apparently, the two companies later reached an undisclosed compromise over the issue. Why did the three wise men only have frankincense and myrrh? Because Team GB took all the gold. What's the best advice you can give at the UKIP Christmas party? Earlier this year, two UKIP MEPs, Mike Hookem and Steven Woolfe, got into a heated argument in the EU parliament. Shortly after, the latter collapsed, was hospitalised, and claimed that Hookem had punched him - but, in October, a UKIP probe cleared Hookem of this charge. What do you get if you cross Donald Trump with a Christmas Carol? O Comb Over Ye Faithful. The US President-elect's comb-over is the stuff of legend. His former hairdresser, Amy Lasch, recently revealed that Trump chose to enlist his family, rather than professional stylists, to cut his hair. She also insisted that contrary to rumours, the businessman's hair is genuine. What's the difference between the clementine in your Christmas stocking and Donald Trump? Nothing, they're both a little orange. Donald Trump has come up trumps - sorry, we just couldn't resist that pun - yet again. After winning the US Presidential election, he's now the inspiration behind two of this list's jokes. Though, frankly, colour aside, we can't think of much else that Trump and a clementine have in common. Philip looks out of the window on Christmas Eve: "That's some reindeer" he says. The Queen replies: "63 years. Yes, that is a lot." Why are Jeremy Corbyn's Christmas cards on the floor? Jeremy Corbyn is probably an overly obvious target for ridicule, with the Labour party having been torn apart in the wake of the Brexit vote. And that's before we consider the party's General Election defeat in 2015 and a recent opinion poll that put public support for Labour at a mammoth 17 points behind the Tories. Why didn't Roy Hodgson go to visit Santa at The North Pole? He couldn't get past Iceland. Yes, an obvious reference to the England football team's shock defeat to minnows Iceland at Euro 2016. It's a match that will doubtless stay long in the memory, considering Hodgson's decision to resign shortly afterwards. He probably won't visit the retail store Iceland for his Christmas turkey. Why has Hillary Clinton asked Santa for a 23-letter alphabet? Because she is sick of F.B.I. We wouldn't be surprised if Hillary genuinely is sick of the FBI. In late October, just 11 days before the US Presidential election, FBI Director James Comey revealed agents' discovery of emails concerning an old investigation into Clinton's use of a private sector while secretary of state. Days later, Comey ultimately confirmed the FBI's earlier verdict in that investigation. What's David Cameron's favourite Christmas song? All I Want For Christmas is EU. I bought my mum Mary Berry's cookbook for Christmas. I tried to get Paul Hollywood's, but he'd sold out. Paul Hollywood's back in the list, and we aren't surprised that this joke was voted better than the other that made 20th position. And, like that joke, this higher-ranking one is poking fun at Hollywood's decision to turn his back on the BBC. How do you recognise a Christmas tree from BHS? All the branches have gone. What do workers at Sports Direct get for Christmas dinner? This joke has attracted a lot of the vote, meaning yet more bad publicity for Sports Direct. The retailer recently reported losing 57% in profits over a period of just six months and has been reeling from unfavourable reports about working practices. Yes, this is the best Christmas cracker joke of 2016, as far as the British public - or, at least, the members of it who voted in Gold's poll - are concerned. Whether or not youactually wanted Brexit, Christmas dinners will doubtless never be the same without Brussels on the plate. 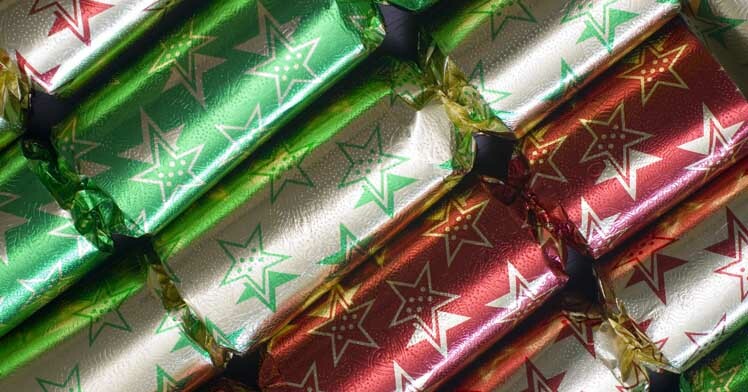 It was in 2013 that Gold started its annual competition to find what the public considered the best Christmas cracker jokes. Gold's decision to start the contest followed a poll's revelation that 72% of Brits deemed cracker jokes outdated, while 70% groaned, rather than laughed, at the terrible answers. We can't say that we found many of the jokes in this year's rankings particularly chucklesome... but then, maybe we allowed our expectations to get a little too high. After all, excrement coated in glitter ultimately remains... excrement.